The state of Florida is home to a very large variety of plant species. These species are identified by their assorted leaf structure and unique arrangements. The plants include various evergreen, pine, palm and fruit-bearing trees. Examining the shape, color and texture of subtropic foliage is key to identifying them. Subtropic plants with colorful foliage fill the landscape of Florida. Bright pink leaves like those found on the codiaeum variegatum and the cordyline fruticosa are easy to identify on sight. Since the state's climate provides increased levels of sunlight, some plants do not maximize their photosynthetic potential. Instead of focusing on gathering more sunlight with green chlorophyll leaves, the vibrant colors are used by the plant to attract pollinators and aid in the process of reproduction. Florida shrubs are typically broad-leaved plants that are divided into smaller leaves, known as "compound leaves." They are designed to utilize the state's long growing season and maximize their resources by increasing their photosynthetic surface area. Many shrubs are coated in a glossy compound that reflects sunlight to prevent evaporation and sun damage. 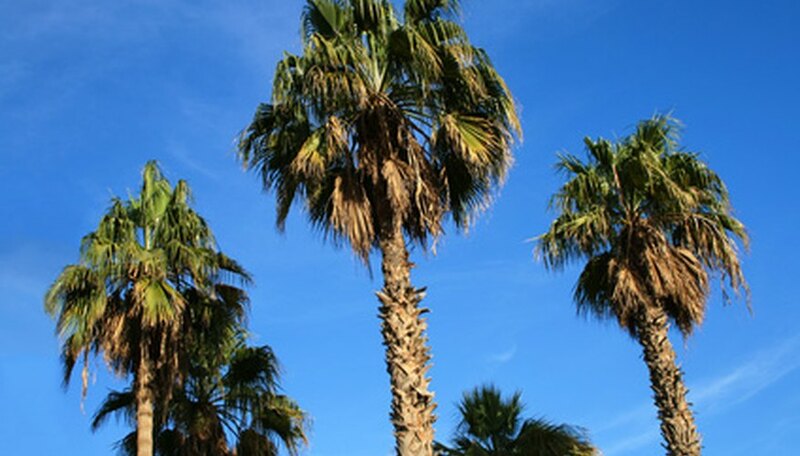 Although better-known for palm trees, Florida's vegetation includes coniferous, evergreen and various fruit-bearing plants. Each tree can be identified by unique leaf structures that utilize the warm, humid climate. Needle leaves from pine trees increase photosynthetic processes within the plant and are able to regenerate damaged buds without wasting important resources. Florida's subtropic climate is well-known for its long growing season and short dormancy periods. Plants found throughout the state are often evergreen and able to sustain resources through the entire year. Their leaves are designed to decrease water loss from evaporation and increase photosynthetic surface area. The structures of leaf cells and the arrangement of their processes can help botanists identify plants, where visual cues may not be enough. Subtropic plants process internal compounds differently from other species because of their minimal dormancy periods. This allows plants to develop unique structures such as modified roots and vibrant leaves. These exemplify the unparalleled survival methods of Florida's plants.